Description: Chirrut �mwe was a blind human male born on the moon Jedha in 52 BBY. One of the Guardians of the Whills, an order of spiritual warrior-monks, he was active during the days of the Galactic Empire and worked as an itinerant preacher in Jedha City. Alongside his friend and protector, Baze Malbus, �mwe became part of a volunteer group of Rebels tasked with stealing the plans of the first Death Star. �mwe died during the Battle of Scarif in 0 BBY after assisting Jyn Erso and Cassian Andor in breaking into the Imperial archives. Born in 52 BBY, Chirrut �mwe lived on the moon Jedha where he became a member of the Guardians of the Whills alongside his longtime friend Baze Malbus. Shortly after Saw Gerrera arrived on Jedha, Chirrut and Baze were approached by Beezer Fortuna, one of Saw's top men. They agreed to join on the condition that the orphanage that their friends ran would get any and all supplies they needed. The partisans greatly underestimated Chirrut's abilities, leaving him out of many missions, until Chirrut proved to them he was of value. As Saw's attacks increased, the Empire began to hurt the citizens of Jedha more. This resulted in more orphans, which meant they needed more supplies, Chirrut and Baze knew that they could not let the orphans remain here, so they struck a deal with the partisans to steal an Imperial Sentinel ship. However, as they put their plan into motion, Beezer and two other partisans betrayed Chirrut and Baze, attempting the steal the ship for themselves to use it as a giant explosive against the Imperial Star Destroyer that hovered above the city. Chirrut managed to convince Beezer that their movement would gain no more traction if word got out that Saw prevented the escape of the orphans. Ceding to Chirrut's rationale, Beezer surrendered the ship to them. This ended their relationship with Saw, however, leaving them on very bad terms. Nineteen years after Sheev Palpatine turned the Galactic Republic into the Galactic Empire, �mwe was outside preaching of the Force when he met Jyn Erso. He asked her if she knew what Kyber crystals were after sensing she had one on her necklace; she told him that they were what powered a Jedi's lightsaber. She then left with Captain Cassian Andor. Later on, during a skirmish that took place in Jedha City, �mwe helped free Andor, Erso and the droid K-2SO from a group of stormtroopers. Using his highly trained hearing to determine the positions of the approaching troopers, he attacked them with his staff, knocking them all down in quick succession. Then Malbus shot and killed stormtrooper reinforcements approaching from behind �mwe. After learning why Jyn Erso and Cassian Andor were there, a group of Saw Gerrera's insurgents came and placed sacks on all their heads, to which �mwe remarked with annoyance because he was already blind and could not see where they were taking him anyway. They were taken to Gerrera's hideout and placed into a cell. In the cell �mwe repeated the phrase, "I am one with the Force. The Force is with me." Malbus didn't believe that �mwe's praying would work to open the cell door. �mwe asked Andor if he had been in any other cells before to which Andor told him it was his first one. He told him there was more than one type of cell and that he sensed that Andor carried his around with him everywhere he went. �mwe then sensed that there was someone in the cell beside them. It turned out to be the Ex-Imperial Pilot Bodhi Rook. They eventually made their escape as the Jedha City was attacked by the Empire's superweapon, the Death Star. �mwe made his escape with the others aboard the U-wing. While on board the U-Wing, �mwe questioned Malbus about the holy city to which he told him that it had been completely destroyed. 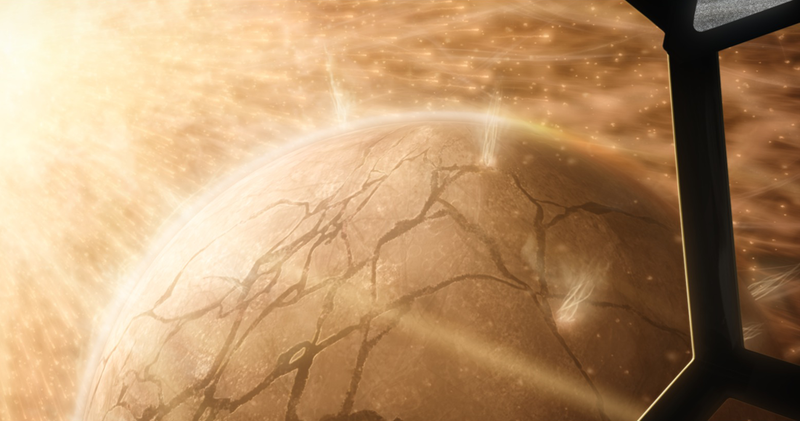 Jyn told Andor about the weakness that her father had placed in the Death Star and the group made their way to Eadu. Once on the planet, Andor and Rook went out to scout the refinery. After asking Baze if Andor looked like a killer, Baze told him that he looked like a friend. Erso questioned this and �mwe told her that the Force flows darkly around a creature that is about to kill. Fearing that Andor was going to kill her father she went out in search of him. Moments prior to Erso's departure, K-2SO recalled that Andor's weapon was set in its sniper configuration, supporting Erso's fear that Andor was planning to kill her father. �mwe later followed Erso. Baze soon followed. Baze and �mwe stopped at a ridge to get a good look at things. 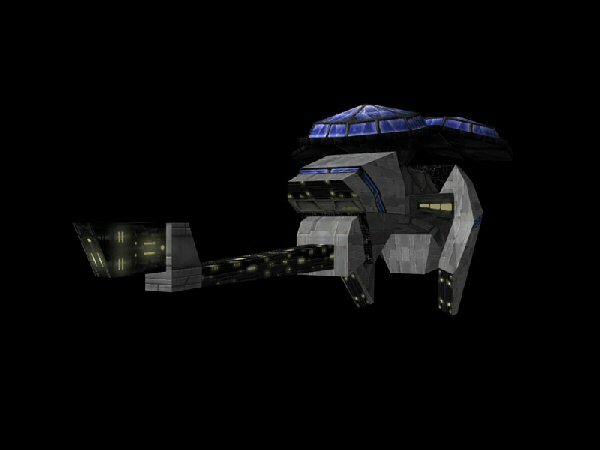 Once the Rebel fighters arrived, �mwe used his lightbow to take down a TIE Fighter which crashed into a turbo laser tower. Soon after Baze and �mwe made their way to the shuttle that K-2SO had stolen and made their way to Yavin 4. After the Alliance Council had told Jyn Erso that they could not afford to send the Rebel Fleet to Scarif, �mwe was among those who chose to fight with her. Once they arrived on the planet, �mwe and Malbus were put in charge of an assault team that would set charges to lure out the stormtroopers. After taking out several troopers, they made their way to the entrance to the complex. �mwe and Malbus held the line with other Rebels until All Terrain Armored Cargo Transports arrived at their position. �mwe and the others ran for shelter. 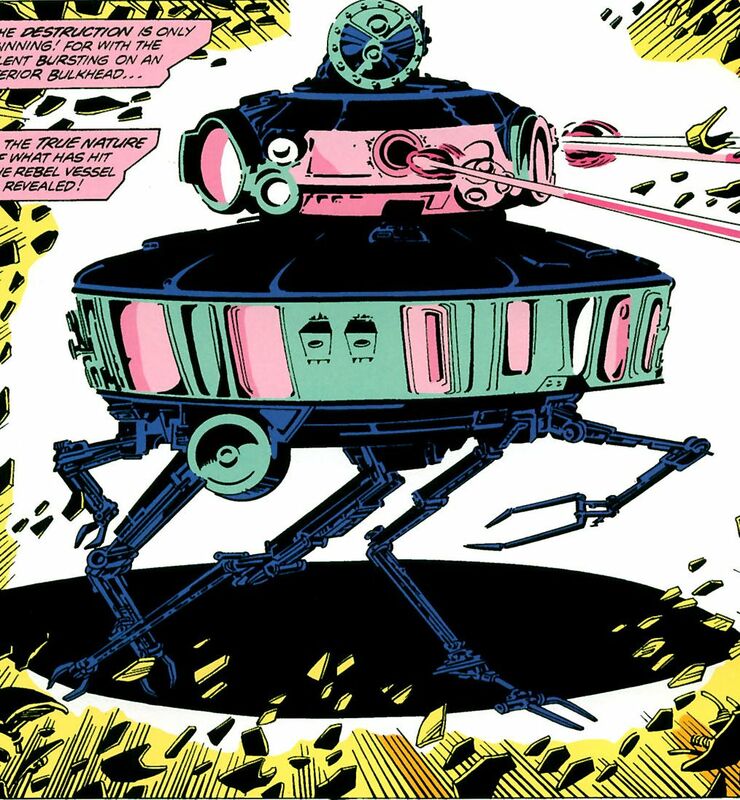 After learning that the master switch needed to be flipped for the Rebels to receive the Death Star plans, he made his way out onto the battle field to activate the switch, continuing to repeat the chant, "I am one with the Force. The Force is with me." Managing to not be hit by any blaster bolts, Chirrut activated the switch as a fuel container was hit by Imperial blaster fire and an explosion occurred, sending him flying backwards. Malbus, seeing his friend injured ran onto the battlefield to help, firing at every trooper. �mwe soon died in his friend's arms, but told Malbus not to grieve: if Malbus looked to the Force, he would always be able to find him. 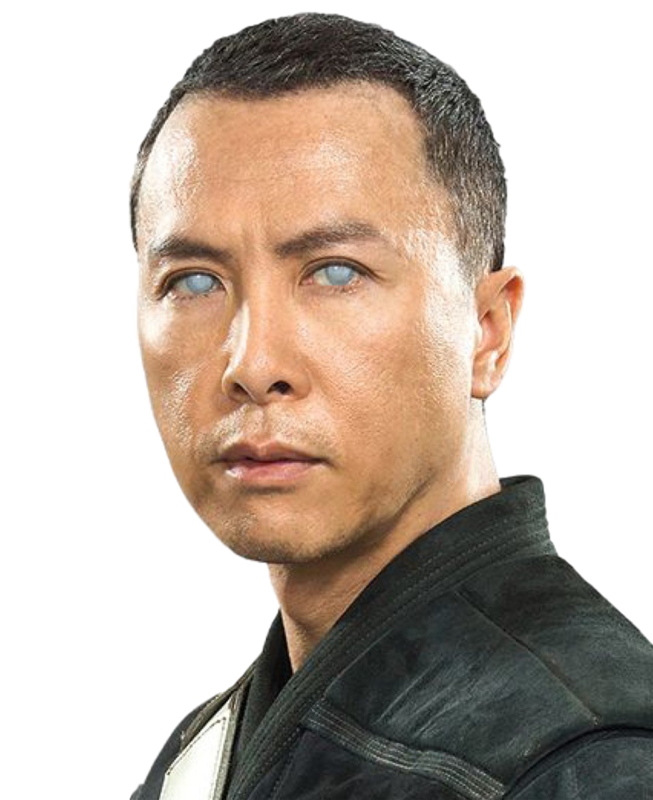 Chirrut �mwe was a blind human male, with pale blue eyes, black hair and tan skin. Although he lacked Force abilities, �mwe was a strong believer in it and the Jedi way, carrying a simple staff and traditional lightbow bowcaster, contrasting greatly with his partner's more pragmatic personality. His devotion to spirituality helped him overcome his blindness and become a formidable warrior. �mwe's Zama-shiwo skills were said to have given him supernatural powers that would alter his heart and oxygen intake. Freddy.....buddy.....why does the badass blind ninja dude not have martial arts!?!?!?!?!?!??!!? And should he have martial arts, or one of the more specific types of martial arts??? He kind of used his staff all the time, I thought he was more of a Melee guy? Plus, never really liked the martial arts system in Star Wars D/6. You think he should have it? You make a good point, I'm aware of Martial Arts' flaws. IMO, when I saw the expanded version of Martial Arts, with the moves and maneuvers a skilled user could use, I decided it should be an advanced skill in my games, due to how powerful it could make a character in close combat. I guess it would depend on the GM's and players' perspective on a case by case basis. BTW, something else about Chirrut. I came across a video explaining a device he used to help with his blindness. It's that thing he wears on his torso with a harness. I'll see if I can dig up the video again, or find some other info for confirmation. Thanks. Also (I'm remembering this stuff bit by bit, because this is years of debate and argument on the subject coming back to me), Martial Arts as a specialization (spec for short?) of Brawling doesn't work as a spec should, IMO. 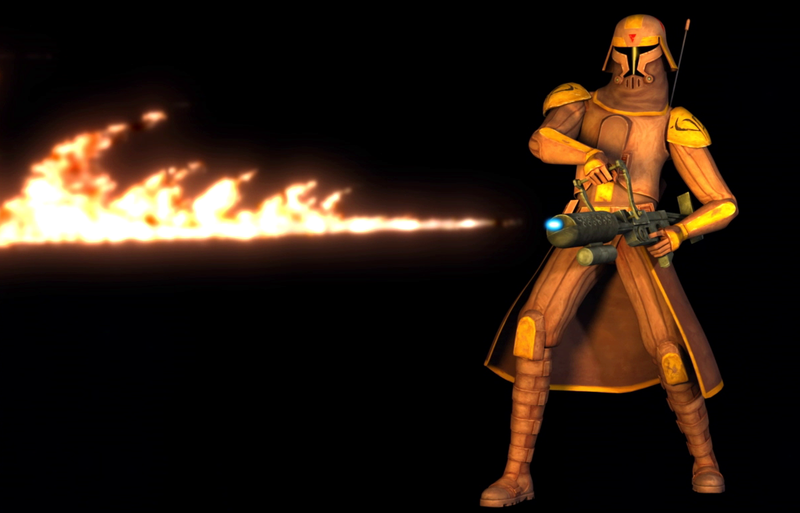 Specs should focus on a singular portion of a skill (Blaster Pistols, Rifles, etc, for Blasters, or Knives, Swords, Clubs, etc, for Melee Combat). If a spec is made for Brawling, it would be Punch, Kick, Knee, Elbow, Headbutt...you would specialize in what part of your body you're attacking with, or, maybe, a certain attack you're using against the enemy you're fighting (knee smash, grapple, arm break, choke hold, etc). Martial Arts is a more advanced and fine-tuned form of close combat, just as varied sciences are more advanced forms of the Scholar skill. As there are many branches of science (Biology, Medicine, Genetics, etc, etc, etc), Martial Arts has many different forms as well, which work differently, are applied differently, and get different results. With that said, I love the various moves and maneuvers Martial Arts allows, and even better, I love the fan-made expanded rules found online for the many styles of Martial Arts that players can choose from. But all of that, applied as Advanced Skills. As for the original point on Chirrut and Martial Arts, I do think he should have Martial Arts, BUT, I also want to know more about the style he uses before making that a definite opinion. Freddy was right that he used his staff most of the time, and as far as representing what was seen in the movie Rogue One, these stats do the job well enough. Some Martial Arts styles are also more passive, less about the combat, and focus more on things like katas and such. I'd want to know what his martial arts style focuses on, and see if it involves combat.